For decades, three large research firms -- Forrester, Gartner and IDC -- have wielded enormous influence in the tech space. If you were a CIO shopping for new CRM software, you relied on these market firms to advise you. Large analyst firms deliver value in two different ways. They create reports that anyone can buy (albeit at a price tag some would consider steep) ranking vendors in a specific space or industry based on criteria they create. Second, they offer ongoing advisory services. For example, a Fortune 100 company could work with an analyst firm on an ongoing basis, weighing the pros and cons of purchasing decisions in consultation with a leading expert in a domain. 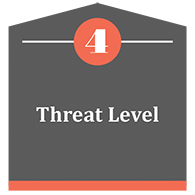 There are many advantages to this model, particularly for large enterprise companies, who have both the money and resources to dedicate to this process. But for those companies not in the Fortune 50 but rather in the Fortune 500,000, finding solid insight into the factors they should consider, the benefits they should weigh, and the considerations to include is paramount, and often comes with a hefty price tag. 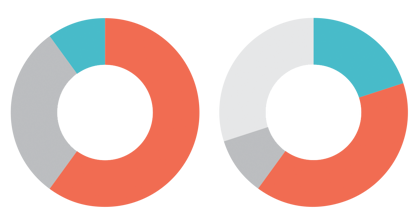 As a result, most companies in the Fortune 500,000 have instead relied upon the opinions of colleagues, peers, and friends along with publicly available resources to inform their decisions. This has the advantage of a more personal touch and a trusted recommendation source. However, those types of recommendations are typically based on one buying experience, so getting macro-level feedback about potential landmines and buying considerations was a challenge. Today a new breed of research outfit is springing up to offer buying advice on B2B software. Instead of hiring analysts and experts to write reports, companies like G2 Crowd and TrustRadius ask actual customers to rate and review the software they’re using. In a sense these firms are taking the crowd-sourced approach that Yelp takes to restaurants and local merchants. 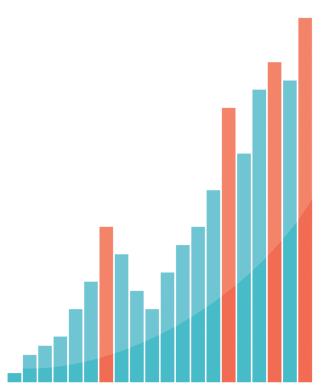 Some people refer to this trend as the “Yelpification” of B2B software research. These firms see an opportunity to sell research to SMB and mid-market customers, who they believe are underserved by the leading tech researchers -- companies like Forrester Research, Gartner and IDC. The upstarts believe they can succeed by selling research at a lower cost but to a much larger audience, and by building much larger data sets by drawing on the opinions of hundreds or even thousands of customers. The crowd-sourcing upstarts are not the only ones who have spotted the opportunity to provide research to smaller customers. A handful of tech news sites, including GigaOm and Venture Beat, now are also operating research groups. A NEW BUYER: In days gone by, IT products were bought by the CIO or the head of IT. Today, technology buyers include others inside the company, such as the CMO, head of HR and VP of sales. Also, thanks to trends like BYOD (“Bring Your Own Device”) and the consumerization of IT, technology often penetrates the enterprise at the individual level, with licensing decisions being made at the departmental level, not just inside the C-suite. A NEW KIND OF SOFTWARE: In the old days, software programs were huge, bulky and expensive. Customers spent millions on licensing fees, and millions more on maintenance fees. They ran software inside their own data centers, and hired staff to keep the programs running. Implementing a new application could take years, literally. Today, software costs an order of magnitude less, lives in the cloud, and is delivered in a SaaS (software as a service) model. In short, there’s a new kind of customer, and a new kind of product. That alone merits a new kind of research. COST: Reports from incumbents can cost several thousand dollars, and annual licenses cost tens of thousands of dollars. This approach might work for enterprise customers but it prices out smaller companies that can’t afford to spend on a research report. A WIDER NET: Incumbent research firms typically focus on a smaller number of vendors in any market space, usually a handful of big vendors. The newcomers cast a wider net, following more vendors, including foreign companies and smaller, newer startups. The new firms also tend to provide deeper information about new product categories. MORE DATA: Incumbent research firms might survey a few customers in preparing a research report. But the customers surveyed will typically be big companies, and the list will be limited. New analyst firms solicit reviews from hundreds of customers. Pure-play startups like G2 Crowd and TrustRadius, which were created solely to provide market research. Media sites with research operations, like GigaOm, VentureBeat and Business Insider. The incumbents: Forrester, Gartner and IDC, plus others like Yankee Group, Sirius Decisions, Altimeter, Constellation Research and others. Certainly there is value to having well-paid expert analysts spend months on a research project, basing their opinions on years of experience and using statistical analysis and methodologies that have evolved over time. But at the same time, the opinions of actual customers might be more meaningful and more valuable than the opinion of a credentialed expert. One way to look at it is that it’s the difference between reading a restaurant review by professional food critic in the New York Times, and reading what people on Yelp have to say. Analyst reviews typically are sometimes based on a sample size of 1 – the analyst herself -- in which personal taste and preferences play a large role. Moreover, that reviewer’s experience is typically heavily predicated on enterprise tools, which may or may not be the best fit for your business. The new models adopted by research firms and media companies alike reflects the wisdom of crowds, and provides a more transparent, wider based approach to advisory services that can be used in conjunction with or in place of traditional analyst consultations. Even big enterprise customers, which already subscribe to research from the incumbent firms, may derive value from the crowd-sourced approach, if only as a way to create a more complete picture of the market. After all, the more information you can gather, the better. In that spirit, this book provides a look at five new researchers: G2 Crowd, TrustRadius, GigaOm, VentureBeat, and Business Insider. The founders of G2 Crowd previously built a software company called BigMachines. BigMachines didn’t get much attention from the larger analyst firms, and also became frustrated by a lack of information when shopping for software to run its own business. “We said, `Wouldn’t it be nice if we could have a place where we could get all these third-party validated customer references? And we could incent them to provide high-quality reviews and make themselves public?’” says Matt Gorniak, head of operations at G2 Crowd. After BigMachines was acquired by Oracle, its management team created G2 Crowd to do just that. So far the site has collected 10,000 reviews of more than 3,000 products in 200 categories. Its strongest categories are CRM, marketing automation and email marketing. 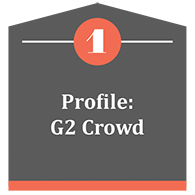 G2 Crowd has 10,000 registered members, and draws 50,000 monthly visitors. In addition to providing customer reviews, G2 Crowd has built an algorithmic “engine” that can sift through huge amounts of data and produce detailed, customized reports. That engine also provides data for G2 Crowd’s Grid, which ranks vendors based on customer satisfaction across scores and scale, and identifies the top products in each category. Reviewers are verified by using their LinkedIn profile information. A special twist is that readers can filter reviews of a product to find only reviews written by people to whom they are connected on LinkedIn. Another revenue stream comes from vendors, who can pay G2 Crowd for the right to re-publish reports and use a badge on their websites saying that their software is highly rated by customers on G2 Crowd. “It’s a Consumer Reports model,” Gorniak says. Gorniak says the rise of crowd-sourced reviews represents a shift in the way vendors market their products. Vendors today have less control than they’ve had in the past. “Users are banding together to share information about the world. That’s going to change everything,” he says. TrustRadius launched in private beta in November 2012. In May 2013 the service became public. 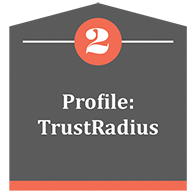 TrustRadius focuses on B2B software and has a database contains more than 2,500 in-depth reviews of 400 products, written by 2,300 reviewers. The reviews focus on digital marketing, marketing automation, SEO, social media, web analytics and business intelligence. The site draws 70,000 monthly visitors, and traffic is increasing by 30% each month. To read multiple reviews you must become a registered member. So far TrustRadius has 8,000 registered members. Bhagat is trying to differentiate his service by encouraging reviewers to write high-quality reviews rather than just giving a star rating. “We’re trying to get in-depth content. We believe quality trumps quantity,” Bhagat says. 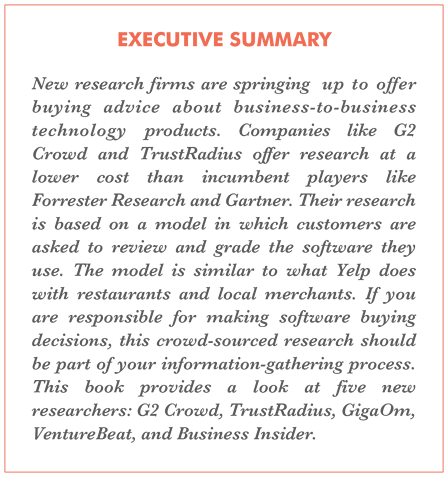 The average review on TrustRadius is 500 words long and the average reviewer spends 18 minutes writing their review. Every review is read by researchers at the company, partly to prevent fraud -- reviews written by a vendor or its competitors are screened out -- and also to improve quality. Behind the scenes, TrustRadius itself rates the quality of each review, and that is factored into an algorithm that decides which reviews are pushed to the top and presented first. Most reviews on TrustRadius are independently sourced, either from the company’s own outreach program or by converting information seekers on the site into contributors. Bhagat says TrustRadius aims to serve SMB and mid-market companies, and to cover products from smaller, younger vendors, that the incumbents overlook. For now the company isn’t attempting to generate revenues and is instead focused on growing scale and engagement. Bhagat says there will be multiple ways to monetize his service, most likely by selling services to vendors. Lead generation is one idea. Another is selling subscriptions that would let vendors see the data TrustRadius collects about user behavior and sentiment. “We believe this is a network effect business, and much like other network effect businesses, such as LinkedIn, the focus, first and foremost, must be to build a network at large scale and high quality,” Bhagat says. The opportunity to sell market research at a lower cost but to a wider audience across the SMB and mid-market space has drawn other players as well, including technology news sites that are looking for new revenue streams. Here we profile three of them. GigaOm operates one of the original tech news blogs, drawing 6.5 million visitors a month. The company was started by Om Malik, a former Forbes reporter. In 2009, the company launched a research arm tracking cloud, mobile, social, cleantech and consumer technology. “We were the first, and everyone has been copying us,” says Paul Walborsky, CEO of GigaOm. GigaOm Research employs a small number of analysts, including David Card, a former Forrester analyst. GigaOm also acts as a broker for more than 250 independent analysts who create research reports and offer consulting engagements. GigaOm bills the customer and passes part of the fee to the analyst. GigaOm sells individual subscriptions to its research for $299. Enterprise customers can buy company-wide subscriptions. GigaOm also consults to vendors. “All of the major tech vendors are our clients,” Walborsky says. 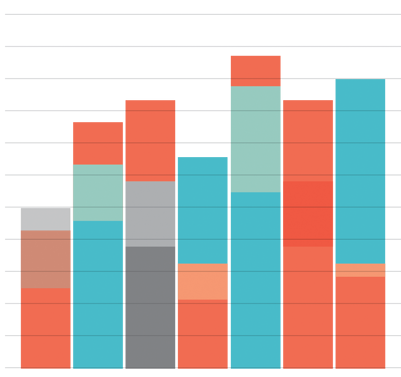 Research has been a great business for GigaOm, contributing 55% of GigaOm’s overall revenues and growing at a 100% clip. By the end of 2014 the research division will represent 70% of GigaOm’s overall revenues, Walborsky says. Created by VentureBeat, a tech news site with 7.5 million monthly visitors, VB Intel will officially launch in May, but has already started publishing reports, including a 60-page report on marketing automation software that you can download for $99 here. VB Intel has also done a report on mobile ad networks, also available for $99. Like GigaOm Research, VB Intel is affiliating itself with independent analysts, booking them out to clients and collecting a cut of the fees. VB Intel is emulating Apple’s app store model, creating a platform where analysts can sell reports or services, with VB Intel collecting a 30% fee. “We want to do for analysts what the App Store did for software developers,” says John Koetsier, who runs the research operation. VB Intel also intends to solicit reviews from customers, taking a page from the playbooks of crowd-sourced researchers like G2 Crowd and TrustRadius. User reviews will be rated and voted up and down by readers. “We’re vastly increasing the pool of who can be considered an analyst,” Koetsier says. Business Insider is a tech and business news site founded by former Wall Street analyst Henry Blodget. 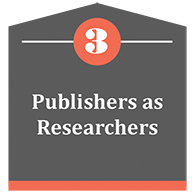 Its research arm is BI Intelligence, which publishes reports about four categories: mobile, social, payments and digital video. Regular price is $499 for a one-year subscription, but right now BI Intelligence is running a special introductory offer of $399, and enterprise discounts are available. Subscribers include employees at AOL, AT&T, Disney, IBM and other Fortune 500 companies. Some have suggested the new research firms could represent a threat to incumbents. One pundit has even wondered, Is G2 Crowd the Death Knell for Forrester and Gartner? We think that rhetoric is overblown. The newcomers have a dozen employees each and are just coming out of beta. Their sites still receive a relatively modest amount of traffic. Meanwhile, Gartner is 35 years old, and has 5,800 employees, of whom 960 are analysts. Gartner is publicly traded, generated $1.6 billion in revenues last year and has a market value of $6.4 billion. Forrester is 30 years old, has 1,288 employees, generates $300 million in annual revenues and has a market value of $800 million. In other words, the big guys aren’t going away anytime soon. They do, however, need to adapt to some pretty big changes in the way software is bought and sold and delivered. And it appears that this may be happening, as evidenced by the fact that in March 2014 Gartner acquired Software Advice, a company in Austin, Texas, that provides research about software programs and is aimed at small and mid-sized companies. Software Advice isn’t a crowd-sourced researcher like G2 Crowd and TrustRadius. The company employs a team of software experts, who give software buyers free advice. Software Advice basically acts like a matchmaker, and gets paid by software vendors when a deal is closed. The incumbent analyst firms were created in the late 1970s and early 1980s, when tech buying decisions were made up top and pushed down throughout the organization, when vendors fielded huge armies of sales reps who wined and dined big customers and software licenses represented multimillion-dollar commitments that lasted for years. But the command-and-control world that the incumbents were created to serve no longer exists. Even in their bread-and-butter enterprise customer space, things have changed dramatically. Another change involves transparency. A few decades ago the notion of transparency in business was unheard of. Today it is a concept that most companies at least consider, if not embrace. The new crowd-sourced research firms are all about transparency. Their research methodology is completely open, while with incumbent firms there’s still a sense of mystery as to how results are calculated. The upstarts believe their research may appeal to enterprise customers as a complement to the work of the incumbents. But the real low-hanging fruit comes from the SMB and mid-market space, where companies typically can’t afford the cost of a subscription to one of the big research firms. With G2 Crowd you can see the data underlying the results. “I think this is already pushing the bigger firms to produce more detailed reports, give you more information about their data and how it is used in the reports,” Gorniak says. In addition to appealing to smaller customers, Gorniak hopes to appeal to smaller vendors. He says smaller software vendors have a hard time getting covered by the incumbent researchers, who focus on mega-vendors like Oracle and SAP. Another gripe from smaller, younger vendors is that when the incumbents do cover them, they use methodologies that are old-fashioned and out-of-date, says Vinay Bhagat, founder and CEO of TrustRadius. Basically, there’s an entire world of small vendors and small customers that barely get mentioned in the world of the incumbent research firms. Helping those customers and vendors find each other is what the new crowd-sourced firms are all about -- and our bet is that they have a huge opportunity.